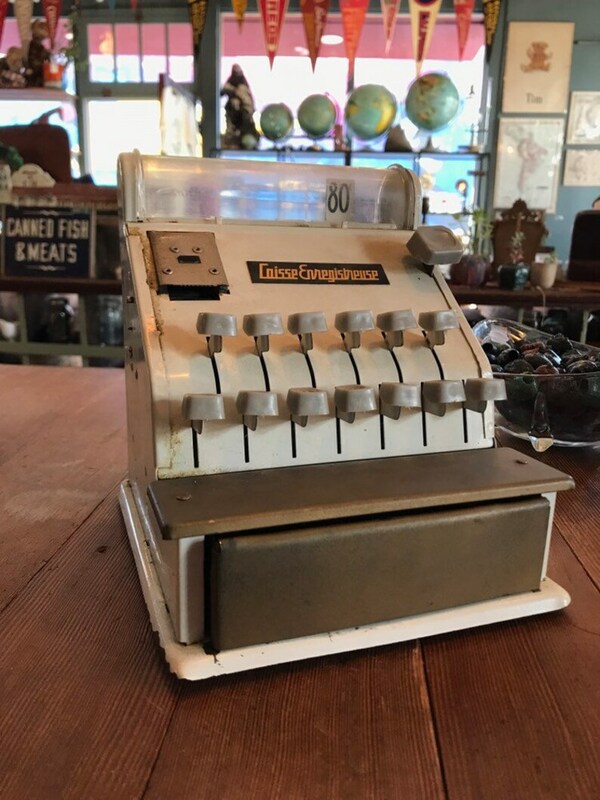 1960’s French toy cash register with plastic money. Works well. 6 1/2” x 7” x 7 1/2” tall. I love this small ship lantern! It makes the best night light! It is as described and pictured. The lantern was well wrapped and shipped quickly! I especially love that it was electrified with the vintage looking cord and plug! She’s perfect❣️😍Thank u for shipping quickly and carefully.